This is a portrait I did of my husband. I just really loved the emotion he portrayed and wanted to capture that in a painting. 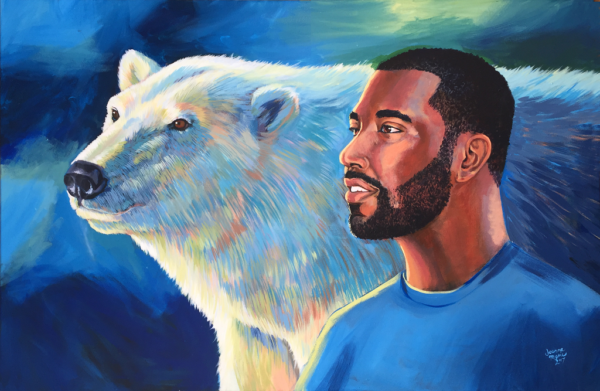 I chose the polar bear for its strength and aesthetically for the contrast.